We’ve been designing websites with WordPress for more than 7 years, we’ve seen WordPress theme websites grow and grow, today WordPress powers nearly 20% of the Internet. Four Degrees West believes that a website design with WordPress is one of your most powerful marketing tools and if developed correctly it can boost your image and create new business. We provide you with the tools you need to monitor your visitors and maintain your own website content quickly and securely online using a computer, tablet or SmartPhone. If your requirements are simple and straight forward we can offer you a very competitive package price, on the other hand if you’re looking for a bespoke solution we can work with almost any budget to provide the best solution. For further information please call us on: 07812 001592 or contact us. Four Degrees West works solely in-house – we do not use third party designers (unless required). This enables us to have full control over all aspects of the website design and construction. 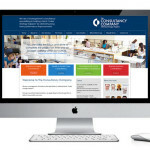 Every web site is individually created from scratch and tailored to the needs of each organisation. 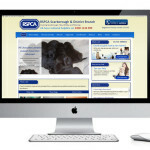 We listen closely to your requirements and create a website in keeping with your branding. 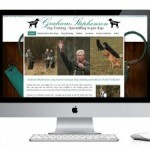 Bespoke designs are presented in a web page so you can get a true feel for how the final design will look. All websites we develop will include WordPress the world’s most popular Content Management System (CMS) available. The CMS will allow you to add pages, change content and upload any web media such as photographs, PDFs and video if required. We will periodically update the CMS to ensure you are running the latest version possible. Training and support is available throughout the hosting period. You can be assured that your content is written and edited if necessary by a professional copywriter. We adhere fully to major search engine specification ensuring that you get excellent ranking from relevant keywords. Because we construct pages this way, you remain ranked highly longer than those who use other methods to become listed. We will create a Google Adwords campaign. As a Google Engage partner we will be able to apply a £50 credit to enable you to trial the service. Adwords will allow us to start marketing the website on Google within 30 minutes (approximately) of your new website going live. Google Analytics allows you to view visitor statistics. We will incorporate Analytics in to the CMS. This will allow you to view statistics from one location. An important part of Search Engine Optimisation is to create a Sitemap for search engines to use to index your website. We will ensure that this is carried out automatically whenever a change is made to your website. We currently use two hosting companies to provide us with outstanding security and reliability. We can take care of all your hosting requirements and provide relevant IT support to assist you in setting up your emails for example. We can provide you with an unlimited number of POP3 or IMAP e-mail accounts, auto responders and forwarders. Emails are also available via our web mail server. This means you can access your mailbox from anywhere. Support when you need and advice to help your business grow. We pride ourselves at being able to share our experience and IT skills helping you run your website and IT business.